ESP have recently given Metallica frontman and guitarist James Hetfield a signature line of guitars. Three models are currently available, although the Iron Cross model is very limited and will only be produced for this year. 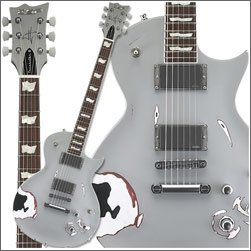 ESP James Hetfield â€œIron Crossâ€- a very limited edition guitar based on Hetfieldâ€™s main Gibson Les Paul, which will on ly be available in 2009. 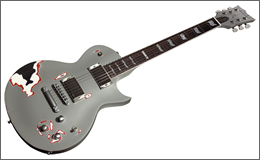 ESP James Hetfield Truckster is Hetfieldâ€™s more widely available signature model. LTD James Hetfield Truckster is the cheaper LTD version of the ESP Truckster with the same kind of spec.